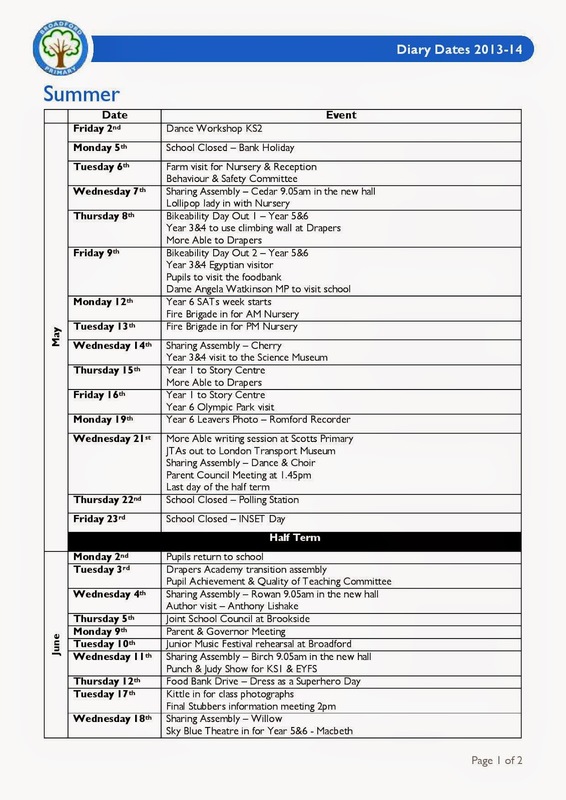 We have posted a copy of the diary dates that were handed out earlier in the previous half term. There have been some additions since then, so it is always worth keeping an eye on the Facebook Page and Google calendar for more information. 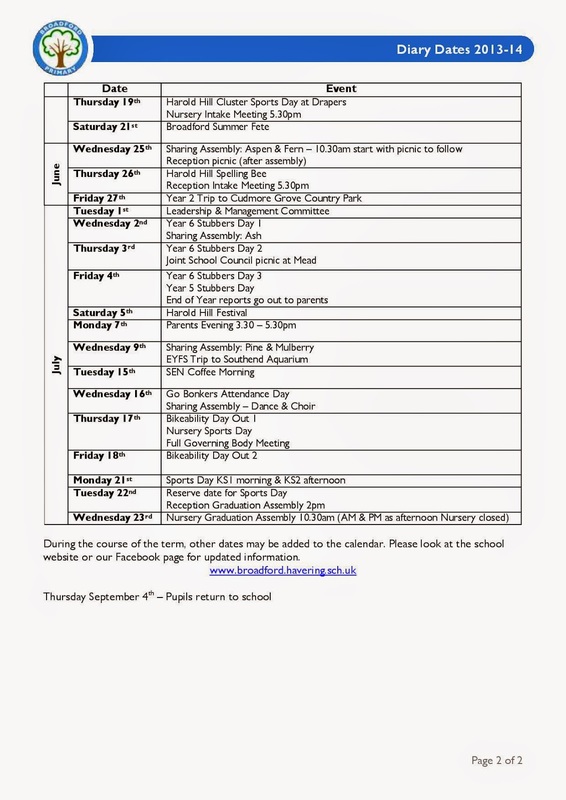 It certainly promises to be an action packed half term: sports days, Spelling Bees, cricket competitions, concerts, Macbeth performances and Stubbers! We're In The Paper: Fearless Evie! 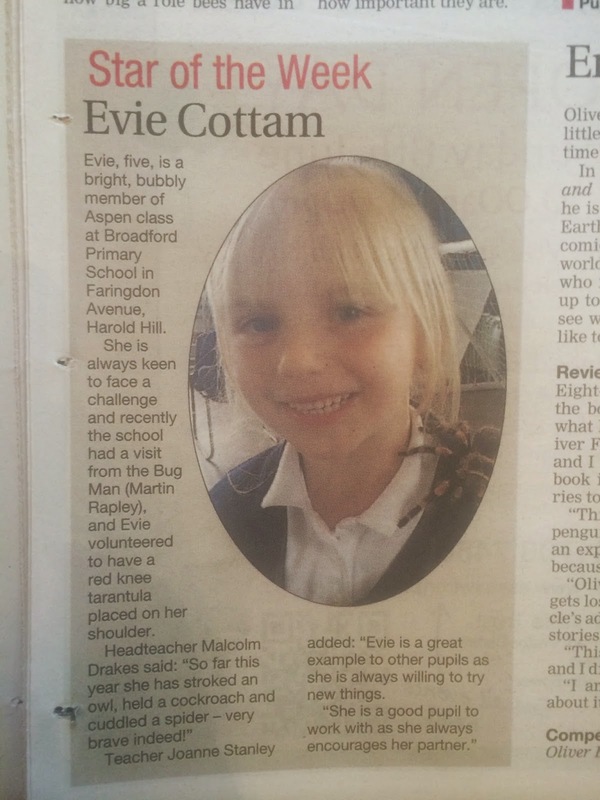 Well done to Evie Cottam, who has been chosen as the Star of the Week. 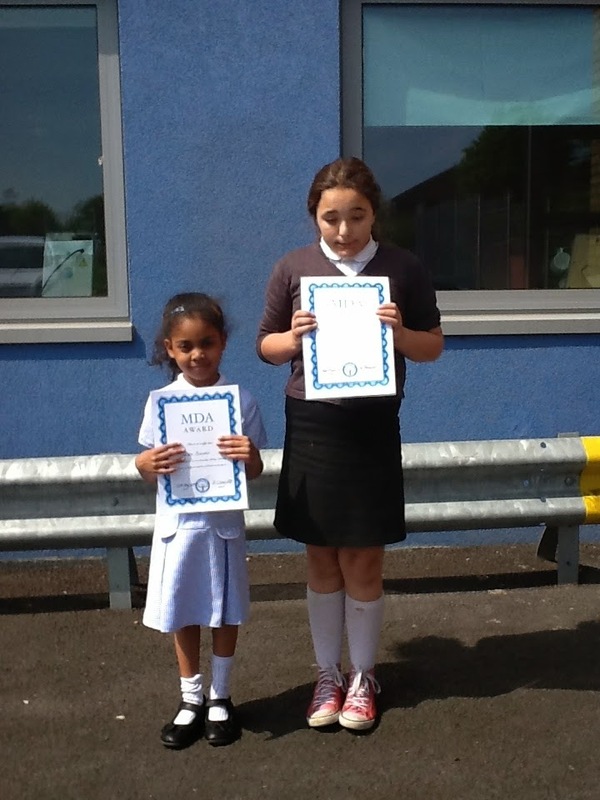 Her bravery when handling dangerous animals has been a great example to other pupils. See if you can spot the red knee tarantula in the picture! We hope that you have had a relaxing and fun filled half term. 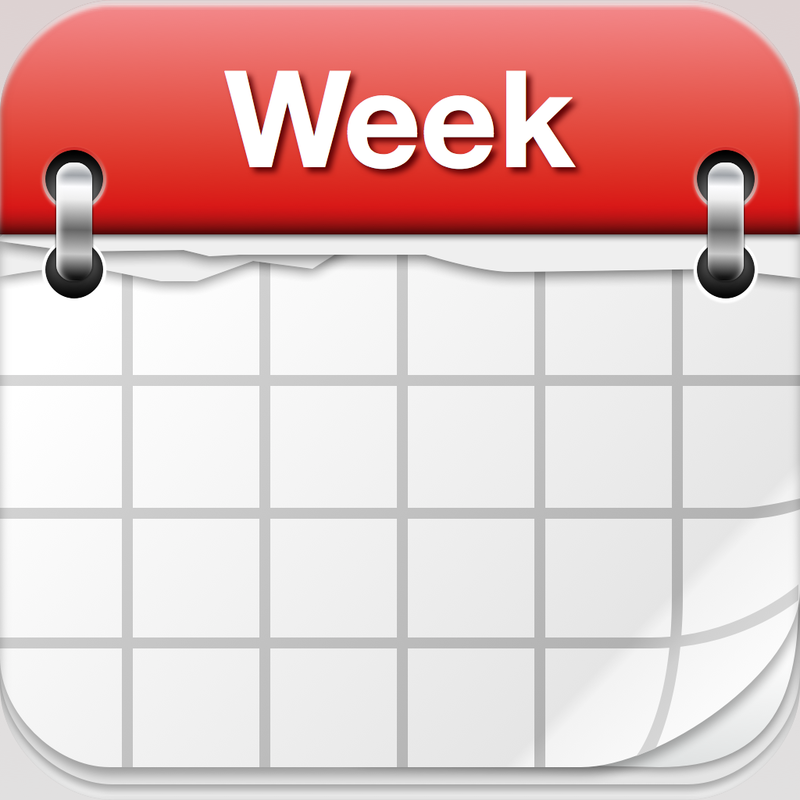 School is open from Monday (8am for Breakfast club & 8.30am for everyone else). On Tuesday the Year 6 pupils going to Drapers have a transition meeting at school with the Secondary staff. In the afternoon we have the Broadford Spelling Bee. 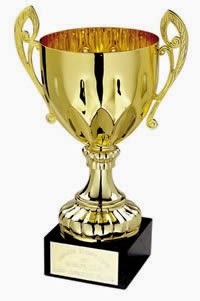 On Tuesday evening we have a meeting of the Pupil Achievement & Quality of Teaching Committee at 4.30pm. Rowan have their Sharing Assembly on Wednesday morning. Miss Sparkes is taking a group of children - the Book Study Club - up to London to watch Mathilda. Miss Cook is taking a group of Year 5&6 girls to a cricket tournament on Thursday and we have Rev Rich Shorter in for assembly. 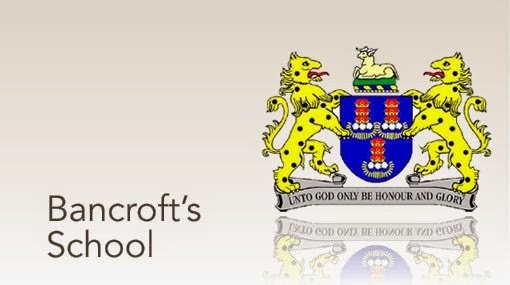 On Thursday afternoon the Year 5 pupils are off to Drapers to see what the school has to offer them for Year 7 - it isn't long now until those forms have to be filled in for Secondary transition! We look forward to welcoming you back after the holiday and getting started on the last half term of the academic year. See you on Monday morning! Last week Mandy started with her third batch of cookery apprentices. The first group did extremely well learning about food hygiene, healthy diets, portion sizes, health and safety rules in the kitchen and basic food preparation. Mandy takes each group for 6-7 weeks to complete a course that introduces them to a range of aspects about working in a professional kitchen and the practical steps they should take when cooking at home. No doubt the newest recruits will benefit just as much from the sessions! 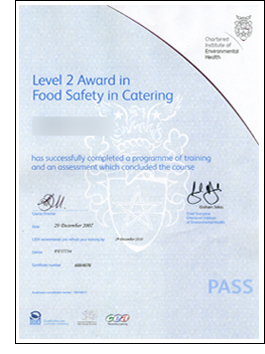 Are there any parents or carers who would want to do a Food Hygiene Course - Level 2? We have 3 places free of charge. This could be a very useful qualification if you are interested in getting back into work. Due to the expansion of Free School Meals to all infant children, Havering Catering are looking for lots of help in their kitchens for September. Venue: Hitchin Close, Harold Hill. No doubt the children will quickly become skilled at creating their own musical masterpieces! Saul will be back on June 9th to complete the installation. Hopefully by then the sun will be shining. The Thames Chase Volunteers are in again this week to finish off the planting beds. On Tuesday we had 20 tonnes of top soil delivered, already for the new planting zones. We were also excited to see that the first bugs have begun to take up residence in the new hotels that the volunteers have created. Packed with nooks and crannies, they are a perfect place for all kinds of tiny creatures to find some shelter! With some uplifting, energetic tunes the dancers and cheerleaders put on a great show last week. 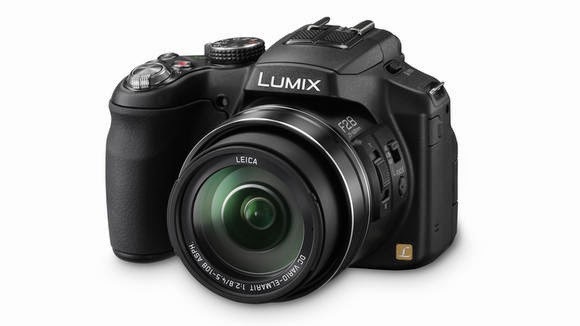 Why not brighten up a dull half term day with a look at the highlights? Did you know that the common name “salamander” is derived from an Ancient Greek word, salamandra. It used to refer to a mythical creature which could walk through fire! Worker ants might only live for 90 days, but Queen Ants can live for years – which doesn’t seem very fair! 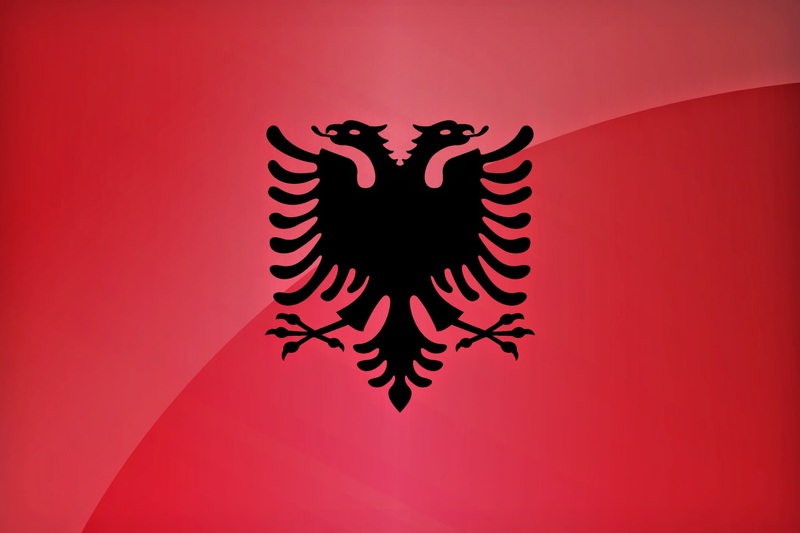 Did you know that the Flag of Albania (Albanian: Flamuri i Shqipërisë) is a red flag, with a silhouetted black double-headed eagle in the center? Our Junior Travel Ambassadors have arrived safe and sound in London for their trip to the Transport Museum. Mrs Nicholls, Nathan, Dylan, Sophie and Georgina have a chance to look round the exhibits before attending a work shop. Don't forget the Sharing Assembly this morning is another chance to see our Choir, Dance & Cheerleading Clubs perform what they have been working on this term. The assembly starts at 9.10am this morning. 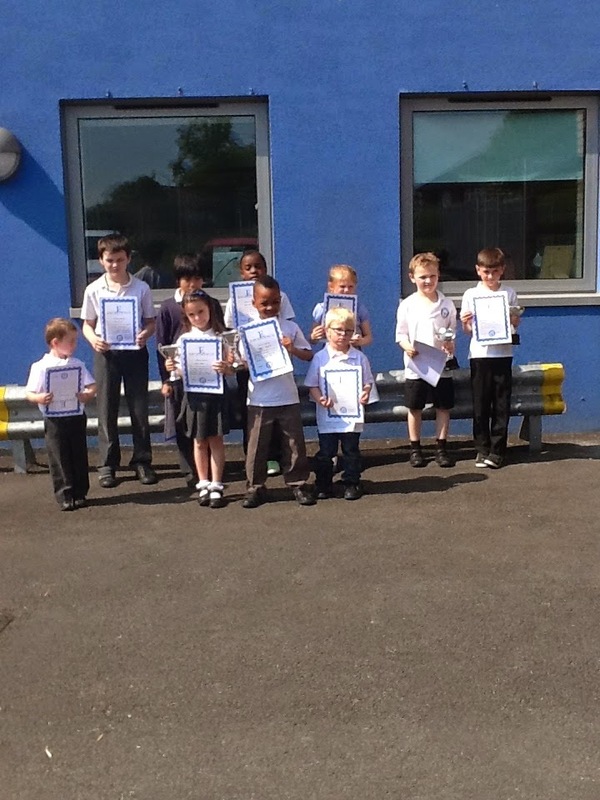 Well done to the latest batch of super swimmers from Year 4. They have collected certificates for swimming widths and lengths of the Central Park pool. These are given out to pupils who have demonstrated one of our 4Rs: reciprocity, resilience, resourcefulness or reflectiveness. Congratulations to Sharna Dodge who has earned a Reciprocity certificate for her teamwork. Elina Joshi has shown good reflectiveness about her learning, while Teni Adu & Lily Jones have demonstrated resilience when facing a challenging task. Did you know that police evacuated people from the Ruislip Lido in February this year when they found an old WW2 bomb? Explosives officer carried out a controlled explosion of the bomb in a grassy area surrounding the reservoir. The white tip reef shark might look dangerous… but it is scared of humans and only feeds on small sea creatures. Oysters might be dull to look at, but they can produce brilliant pearls. The most valuable pearls occur spontaneously in the wild, but they are extremely rare. Cultured or farmed pearls from pearl oysters make up the majority of those that are currently sold. Did you know that Fiji is made up of 333 islands? Amazingly Australia is s 7,686,850 square km in size compared to England’s 130,395 square km. This simply means that Australia is more than 58 times larger than England! Tolu Erinle, Lucy Stevens, Callie Rose Barnett & Caitlin Bowden have produced great pieces of writing this week and have been featured on the Star Writers display. Michael Rack has earned his bookmark for completing 25 books at home. 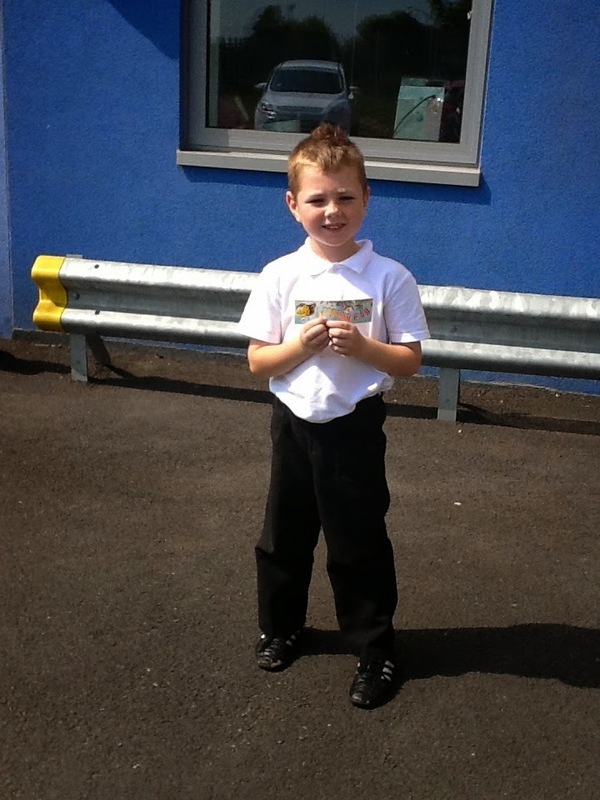 Callum Watson has been awarded his Silver certificate and a £5 voucher for reading 50 books. 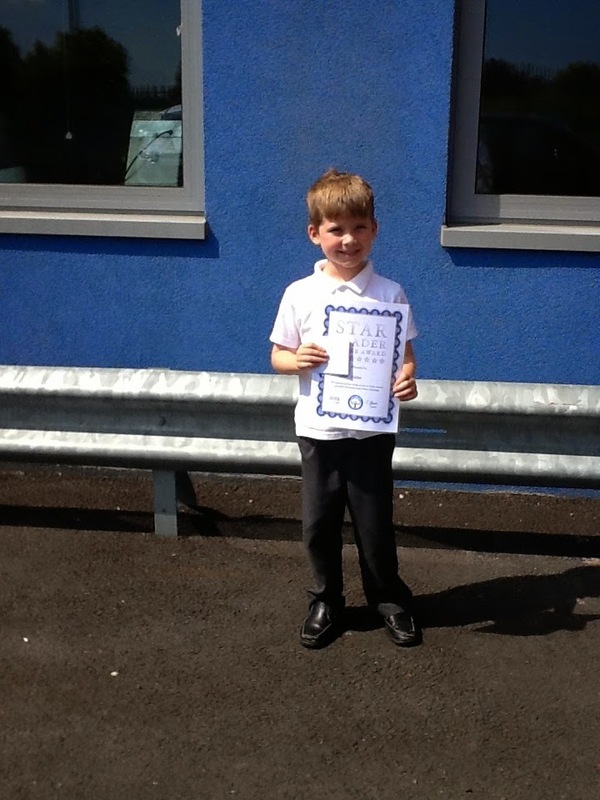 Kieran Dansey has become the first child to collect the Platinum Reader prize for completing the equivalent of 15,000 pages of reading this academic year. Without a doubt he is one of Miss Sparkes’s most prolific borrowers! Taylor Royer, Isabelle Munford & Arianna Solomon have now completed their Bronze Trackers. Harley Boland has earned enough merits to receive his Silver pencil. Micayla Smith, Megan Burnett, Rose Anna Weaver & Ethan Gibbs have finished their Silver trackers. 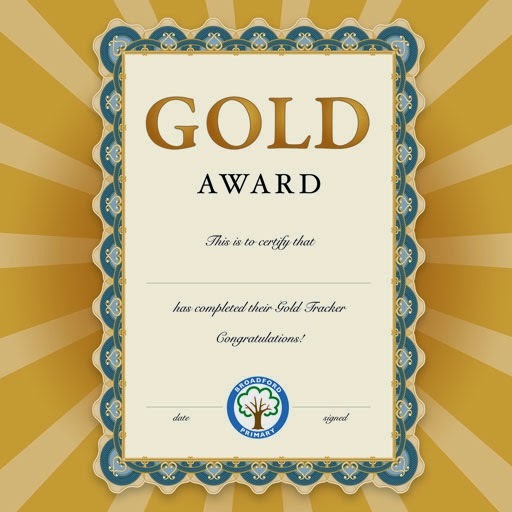 Charanjit Ubhi has completed his Golden tracker. 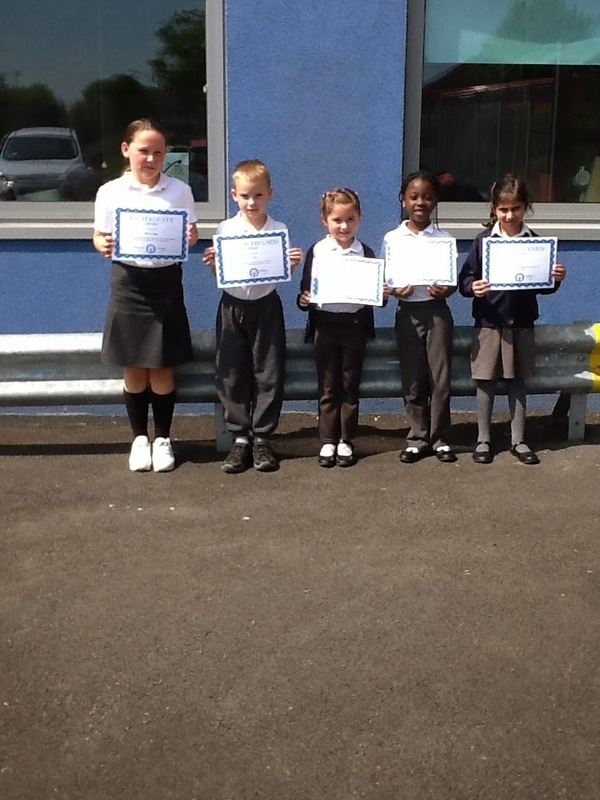 Well done to all of you for showing the learning behaviours required to earn all those merits! Unfortunately the first week was rather wet, but this Thursday the sunshine was glorious. The whole team worked extremely hard to clear and prepare the ground. Hopefully the work will be mostly completed in the next two sessions. We’re In The Paper: Ebony is Star of the Week! 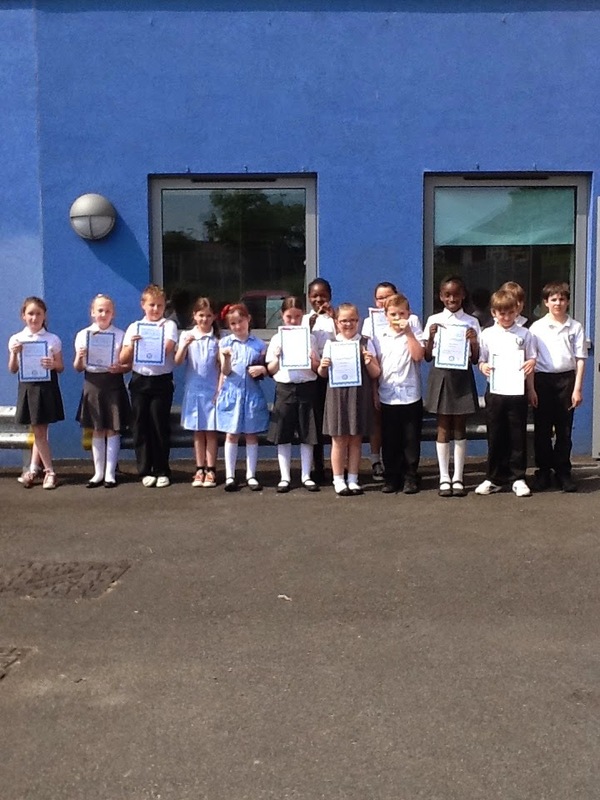 This week we have been delighted with the attitude and attendance of our Year 6 pupils. It appears likely that they have exceeded the challenging targets set and are on track to achieve outstanding progress. 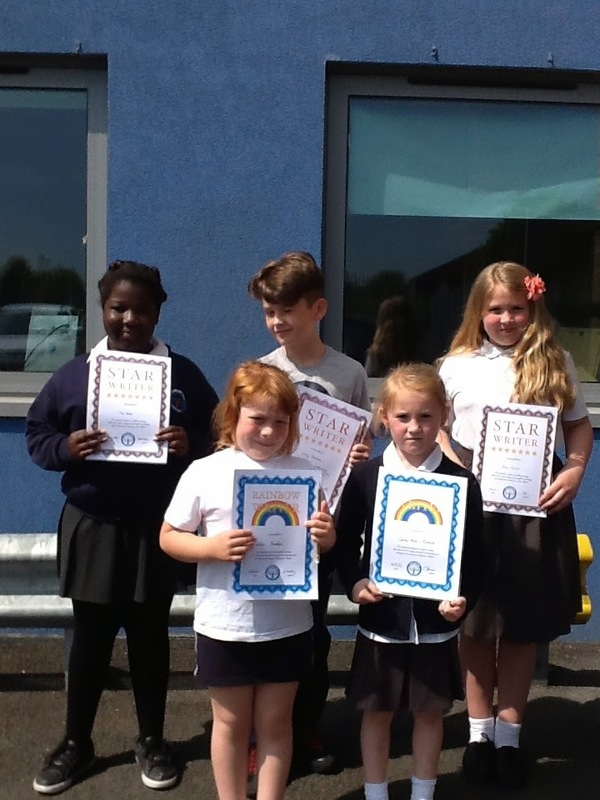 One of our pupils – Ebony McKay – has been selected as the Star of the Week. 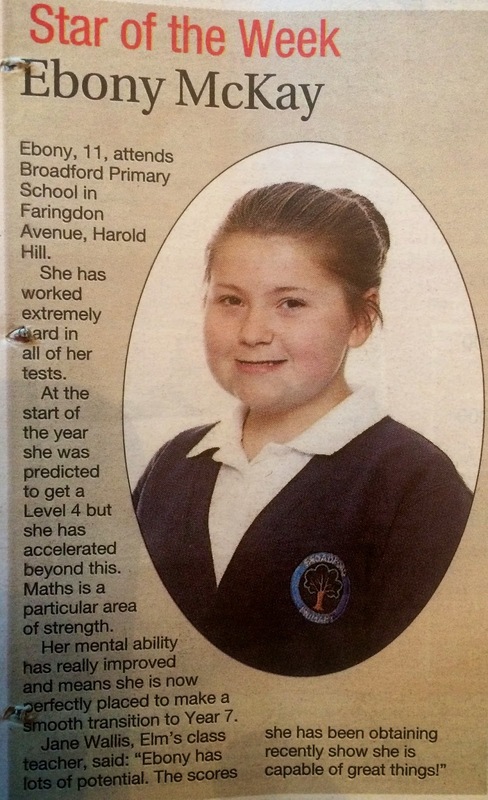 In her maths papers this week she has done extremely well and showed her real potential… well done! The time of this meeting has been tweaked so that parents can still attend the sharing assembly in the morning. Please come along, even if you haven’t taken part before. We have been thinking about ways in which to enable parents to have a greater role in supporting school development. At the meeting we will go through some ways in which you may be able to help us keep moving Broadford forward. Once again we are delighted to report that our attendance is over 96% which exceeds our target. Only 3 classes missed the 95% mark. Well done to all the pupils, parents and families ensuring that we come to school every day! Have a listen to the KS1 & KS2 choir clubs singing their hearts out. We are due another Sharing Assembly performance from them in two weeks, so this should whet your appetite! 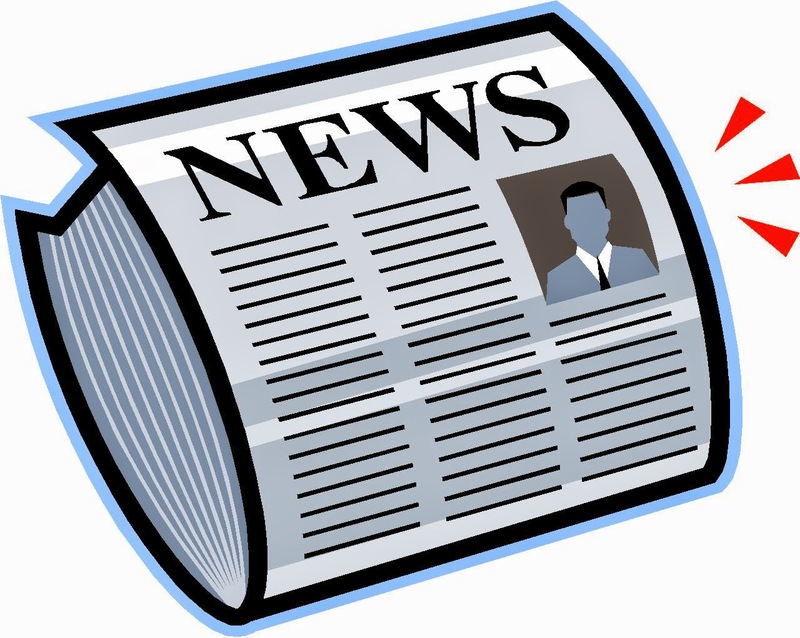 On Monday at 1.30pm we have the Romford Recorder coming to take the picture for the annual Year 6 leavers’ supplement that the paper runs in July. Make sure your hair is brushed, shirt pressed and smile polished! We only have three days at school next week. On Thursday we are closed for elections and Friday is an INSET day for staff. Our Spinebreakers are on their termly trip to Waterstones to hunt out more books for our library. We also have some pupils heading to Mead for a rounders competition. On Wednesday we have the Choir & Dance sharing assembly. The Junior Travel Ambassadors are out on a trip to the Transport Museum and we have some More Able pupils going to Scotts Primary for a Maths Day. In the afternoon on Wednesday we have a boys cricket tournament at Rainham CC and the Parent Council meeting at 2pm. For every pupil on Free School Meals, our school gets £1,300. This is per pupil, per year! Last year we had funding of £138,600 to spend on your children this year. This is money that is spent on the children and which it has a direct and positive impact on their education. 1. You don’t actually have to eat the school dinners. a. Some children/families are put off because they think that Free School Meals status means that they have to eat the school lunches. This is not true! Should you prefer to remain a packed or home lunch, that is absolutely fine. The school dinners will be there for you should you want them… but they are not compulsory. a. Due to recent changes in funding, we are able to cover part of the cost of school trips for you with the Pupil Premium money. These trips help to enrich the curriculum for the children and we want to help with the cost. a. We are able to use the Pupil Premium money to support you with the cost of school uniform. It is important that our pupils are dressed warmly, smartly and comfortably at school. It means they are able to concentrate on what they are here for… learning! a. Funding for Pupil Premium allows us to increase the number of cultural experiences that we can offer your children. Some have already been to visit an art museum this term. 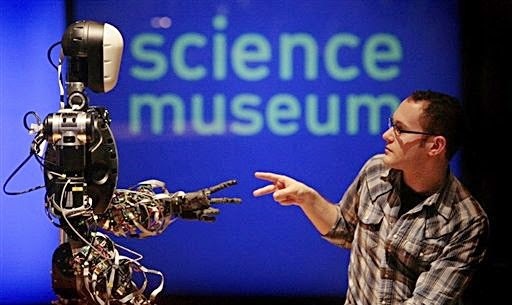 We have trips planned to see major West End productions – linked to Literacy – art galleries, the Royal Opera House, major London landmarks and the Olympic Park. a. This term we are looking into providing piano tuition for our pupils. For those qualifying for Free School Meals there may be the opportunity before Christmas to receive free music tuition and significant support for the cost of the instruments. a. In Year 6 we offer a residential trip to Stubbers. If your child is eligible for Free School Meals we are able to pay a contribution towards the cost of the residential from the Pupil Premium fund. So far we have been able to organize a number of opportunities for a significant number of children, a large number of whom are not Free School Meals eligible. The Pupil Premium has fantastic potential for supporting all of the pupils at Broadford Primary… which is why it is so important that we have as many eligible parents and families sign up as possible. • Author visits – we have had many visits. Anthony Lishake, Mike Spoor, Petr Horacek, Tom Banks and Jeremy Strong have all spent time with the children. These high quality author/illustrator visits help to inspire the children’s love of reading and writing. • Performances, Drama & Pantomime. Every winter and Summer we have an in school theatre performance for all the children. Groups of children will also be invited to go up to London to experience the magic of a West End performance. Pupils have visited Mathilda, War Horse and many others. 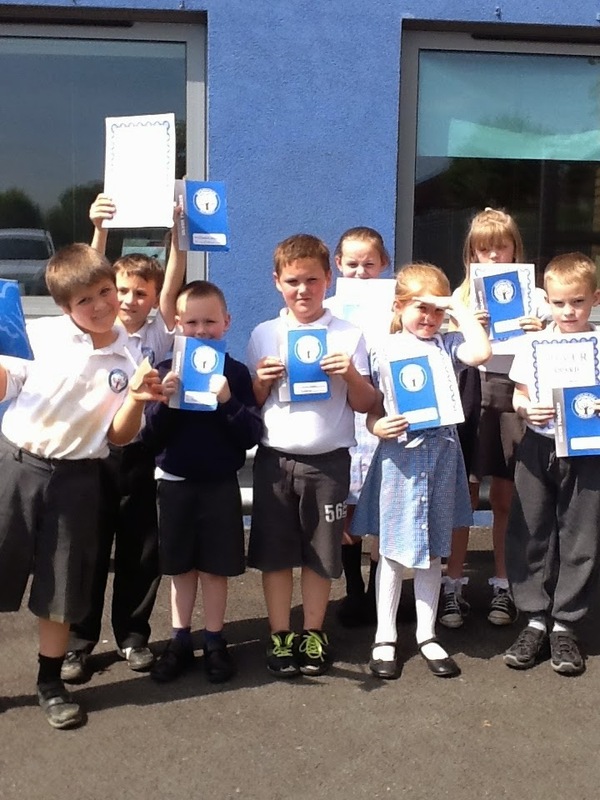 • After school clubs – without the Pupil Premium funding we would not be able to offer free clubs for all of our pupils. No child/family has to pay and they are open for all. Although the Pupil Premium is targeted at Free School Meal eligible children, everyone gets to benefit from the opportunities available. 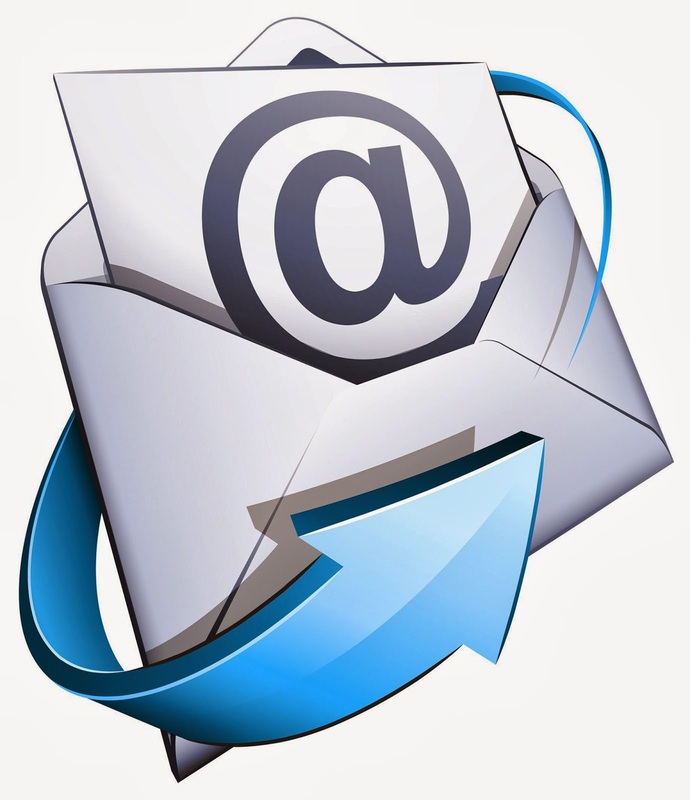 • Resources for school – some of the Pupil Premium money is being invested in school resources that will benefit all pupils for years to come: the canopy over Pine and Mulberry; the EYFS garden; the pathway around the main field; the Year 1 sandpit; new lunchtime resources. These costs would be unaffordable were it not for the Pupil Premium. Come in and see Mrs Taylor with your National Insurance number and date of birth. We will check your eligibility there and then. 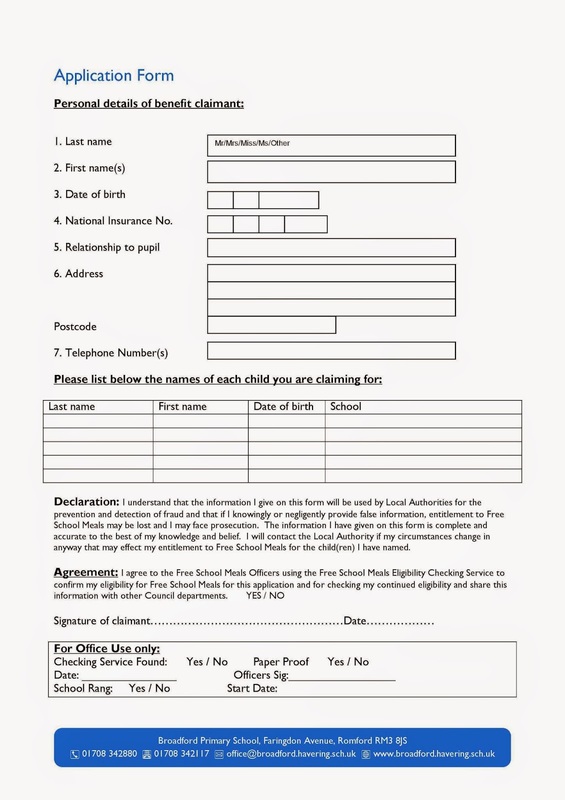 2) To make a telephone application call 01708 433929 for immediate eligibility confirmation given using the Free School Meals Eligibility Checking Service and early start date for Free School Meals. The Free School Meals Officer will contact you if there are any queries about your eligibility and to confirm the FSM start date. Last week Holly was selected to take part on the Brain Buster quiz on CBBC. Having watched the segment many times, Holly was confident that she had the general knowledge to cope with the questions. Armed with an expert grasp of the top CBeebies programmmes she performed extremely well under pressure. 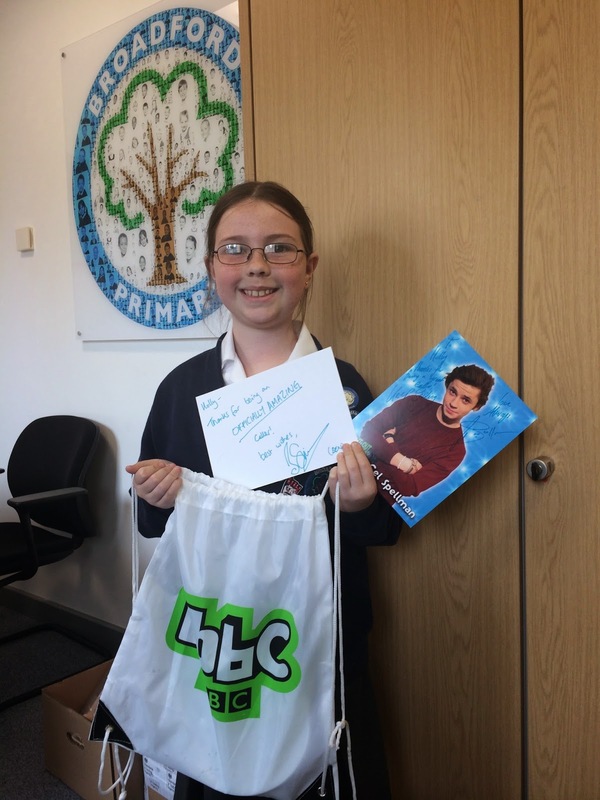 As a reward for taking part and doing so well Holly earned a CBBC goodie back. Packed with signed pictures, pens, pencils, magazines and postcards, it was a great prize. Well done Holly! Coral Wilkinson, Ruby Burchell, Prince Onwuegbuzie & Ebony Ngenge have all demonstrated that they are taking pride in their work. 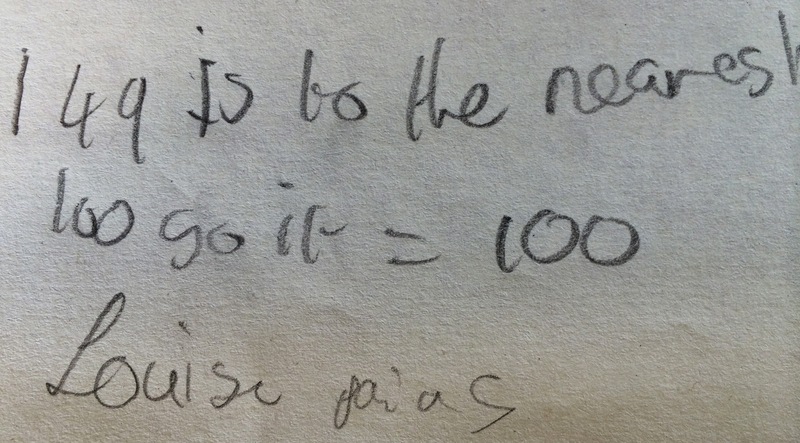 We ask that all pupils do their best in every lesson. With their neat handwriting, tidy books and exemplary pride in their work they have certainly achieved job number two! We will keep you posted with updates as we know more. Following the 10 week program at Bancrofts for our More Able pupils, we completed a survey with them to get their views on the experience. Unsurprisingly it was very positive feedback! Hopefully we will be able to over something similar next year. Thank you once again to Bancrofts for their support and the effort made to bring these sessions to our pupils! Holly has shown that she can deliver with her maths and literacy this year... but did you know she was also something of an amateur magician? This entertaining card trick had the children in the playground crying out in disbelief! On Friday afternoon we were delighted to welcome Dame Angela Watkinson MP to our school. Having heard about the improvements over the last three years, our recent Ofsted and the investment we have made in the outdoor environment she was very keen to come and see it for herself. Fletcher & Samantha (from the School Council) took responsibility for showing Dame Angela around the site. Once they had completed the grand tour, Dame Angela came into our E for Excellence assembly to see how the children's efforts are celebrated each week. "I was bowled over by Broadford Primary. I visit lots of schools, but the way in which the learning is celebrated here is amazing and the outdoor resources are the best I've seen. 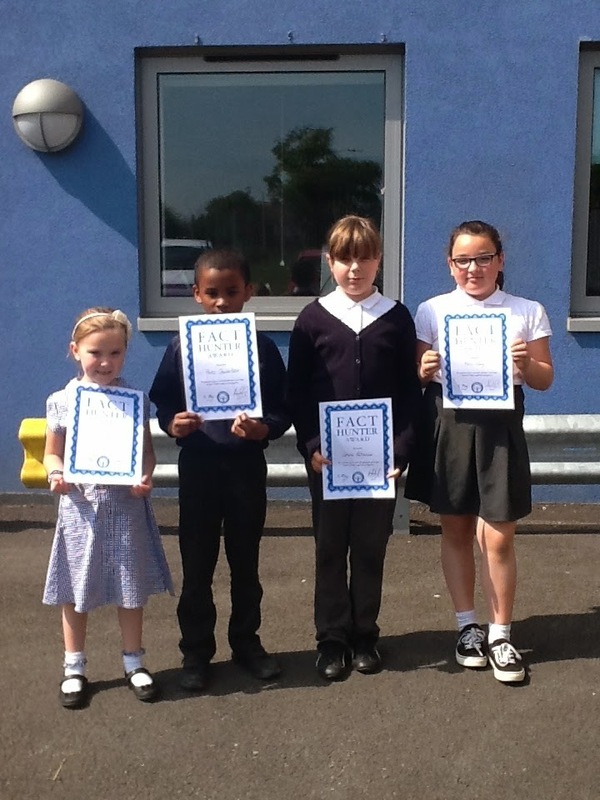 All the children were happy - it really is an outstanding school." 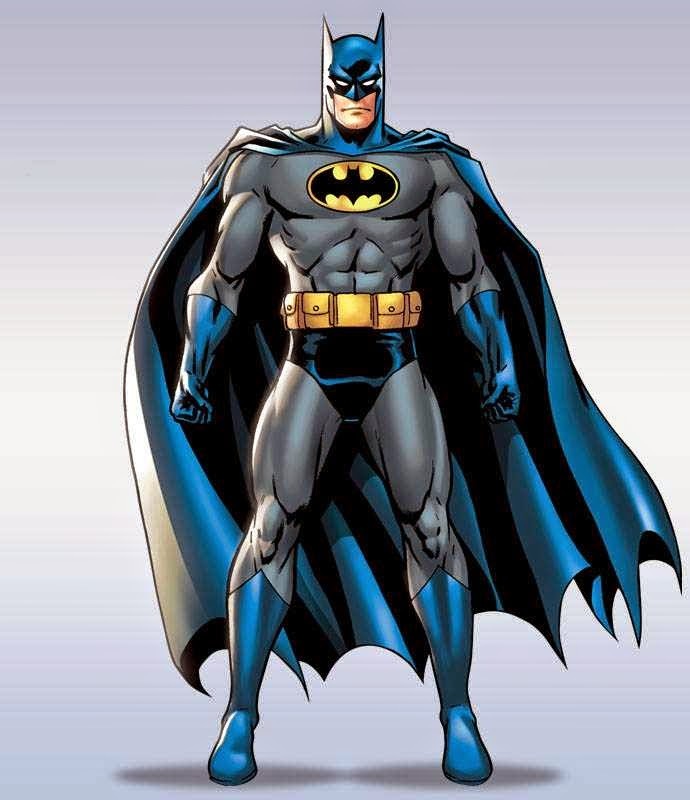 Did you know that Batman (who is a fictional character) was created by artist Bob Kane and writer Bill Finger, and first appeared in Detective Comics #27 (May 1939). Reaching between 40 and 50 feet in length, a humpback whale can weigh up to 48 tons! Some people believe that the Loch Ness monster might be a dinosaur. However the Loch is only about 10,000 years old, and plesiosaurs went extinct 65 million years ago! It is estimated that the Earth has an equatorial speed of 465.1 m/s, 1,674.4 km/h or 1,040.4 mi/h. That is extremely fast… it is a wonder we don’t get dizzy! There was a lot of information to take in. Did you that the red knee species of tarantula - instead of biting - is far more likely to run away and flick urticating hairs from its abdomen? These hairs irritate your eyes and make it easier for the spider to escape. Jessica is a Hebrew name which means ‘rich’. Mai – her middle name – is Japanese and means ‘brightness’. When the blue ringed octopus is agitated, the brown patches darken dramatically, and iridescent blue rings or clumps of rings appear and pulsate. Earth is the only place where water can be found in all of its three forms – ice, gas and liquid. Amazingly there are 326 million cubic miles of water on Earth. Amazingly owls don't have eyeballs. The eyes are long and shaped more like a tube. Owl eyes can't turn in their sockets because of this shape. A reminder that all pupils are expected to attend until Wednesday 23rd July. In the final three days of term we will be having Sports Day, the graduation assemblies for Nursery & Reception and the Year 6 Leavers’ Assembly. Lucy Stevens has shown great resilience with her work this week. Well done for sticking with the task until you found a solution. 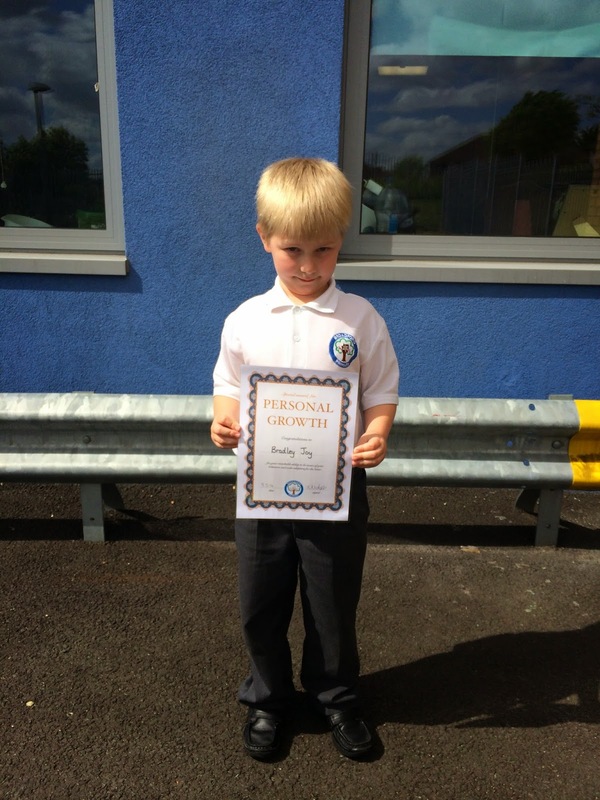 Bradley Joy has worked really hard on his personal targets and is now half way through his tracker card. 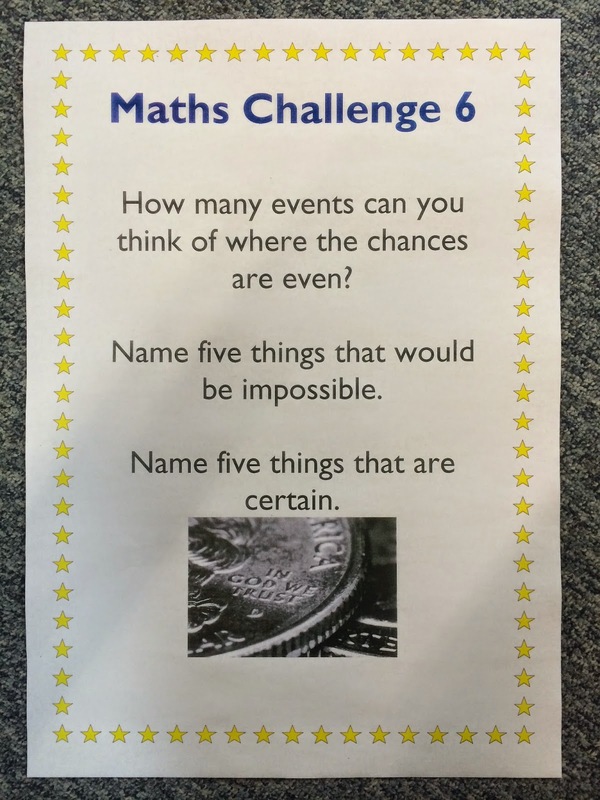 Kie Purse has completed a great piece of Learning Challenge homework. Well done for taking such an interest in extending your learning. 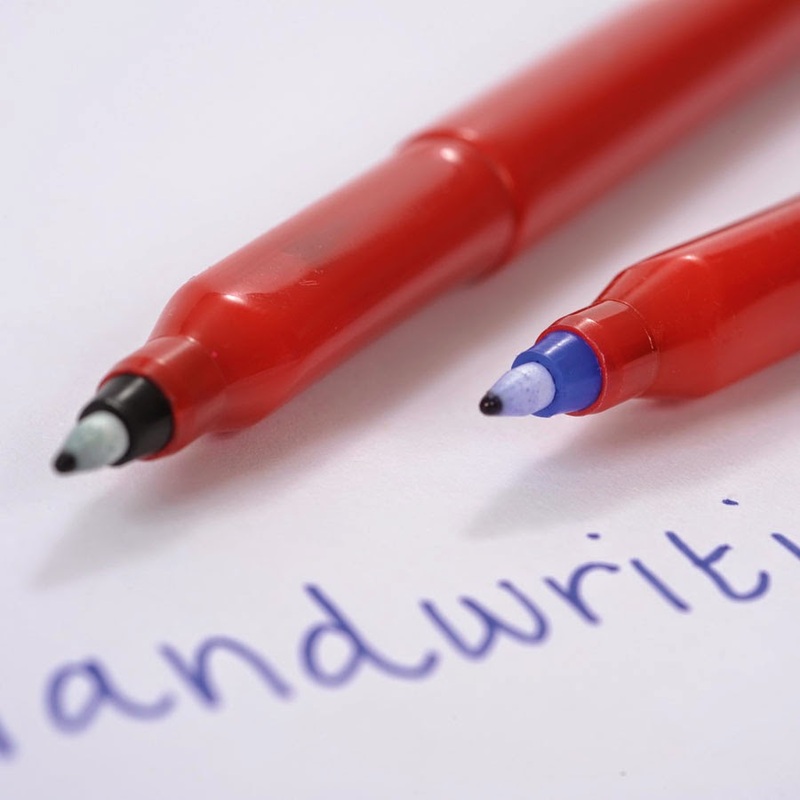 Hakeem Bakreen, Jimmy Taylor, Alisha March, Sophie Porter, Suzi Forgacz, Jessica Simpson & Razvan Gabreanu have produced great pieces of writing this week and have been featured on the Star Writers display. Congratulations to Danayo Meggoe and Lucian Bundy who have earned the first Reciprocity ceritifcates. These are given out to pupils who have demonstrated one of our 4Rs: reciprocity, resilience, resourcefulness or reflectiveness. 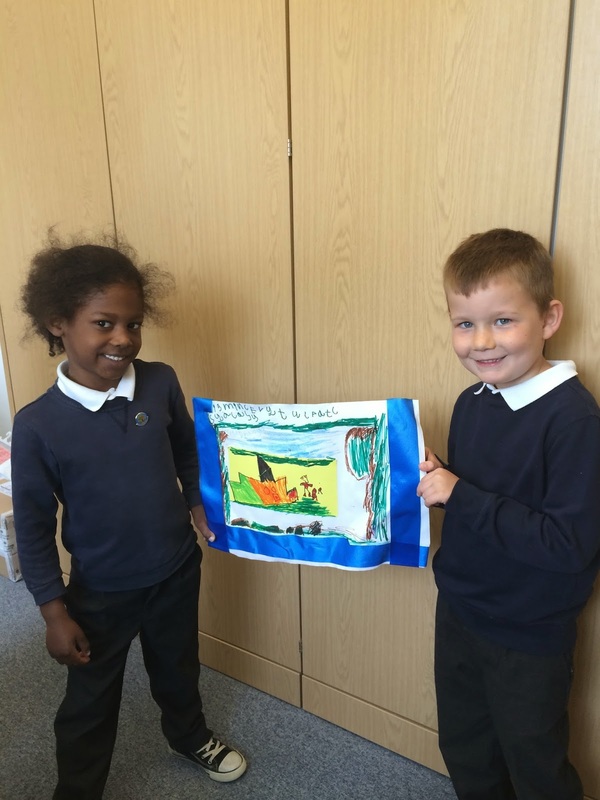 They have been working well together to produce some excellent artwork. 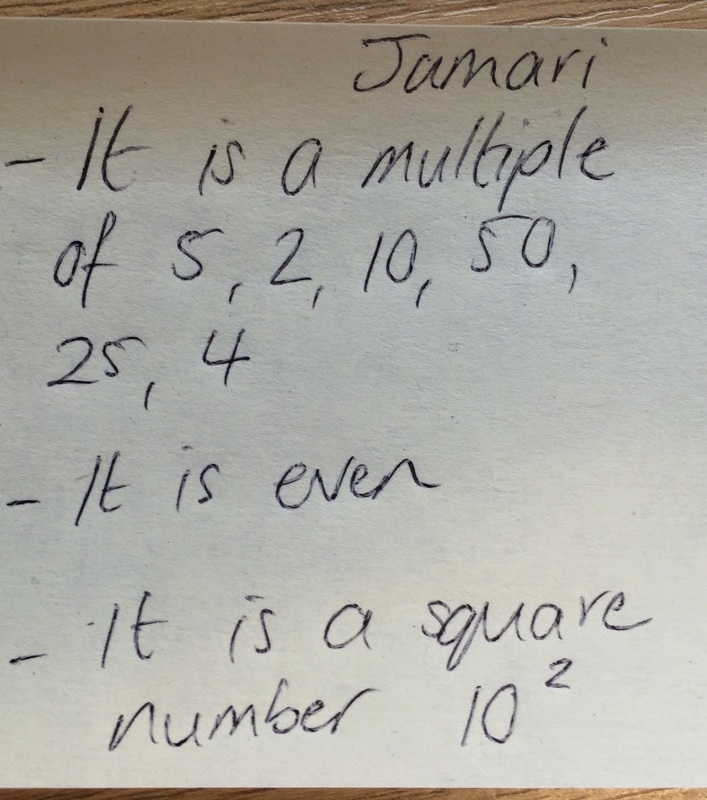 Congratulations to Louise Paius & Jamari Cousins who had the best facts about the number 100. Look out for their facts on the blog. Our next challenge is to think of some events that are certain and impossible! How many can you name – but you can’t include West Ham winning the Premiership.